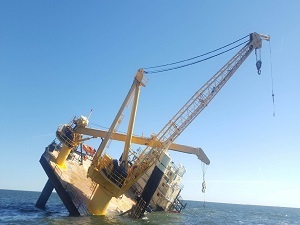 The right to operate the port of Band?rma, in northwestern Turkey, and the port of Samsun, on the northern Black Sea coast, were sold Friday in two separate auctions. The government will receive $300 million from the sales. 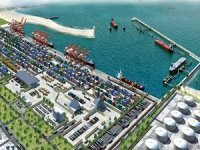 Çelebi Joint Venture Group, consisting of Çelebi Holding companies, won the auction to operate the port of Band?rma with a bid of $175.5 million at a government auction in Ankara Friday to operate the port for 36 years, Bloomberg reported. The company will pay the $175.5 million upfront, Ümit Bozer from Çelebi told reporters. 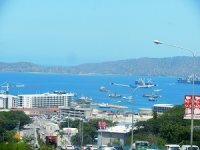 The group will invest $20 million in the port over the next five years and it is currently talking with a foreign partner, Bozer said, according to the Anatolia news agency. 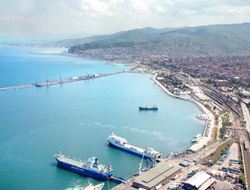 The right to operate the port of Samsun for 36 years was sold to Ceynak Lojistik for $125.2 million. Results of the auctions are to be approved by first the Competition Board and then the Supreme Privatization Board. The last stop in approvals would be the Supreme Court of Appeals. In a related development, Efesan Group announced Thursday it is the new owner of the K?z?lkaya Port, in ?zmit Dilova, by acquiring all shares of Istanbul Demir Çelik in March. 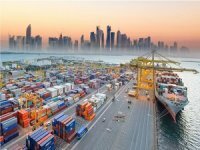 The group has changed the name of the port to ?Efesan,? according to a company statement. 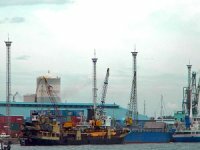 The group, focusing on iron and steel, was looking to buy a port in the region since 2002, said Kadir Efe, Chief Executive Officer of Efesan. 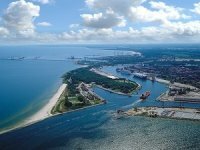 The port is crucial as it is at the heart of the Marmara region and at the ?zmit Bay, Efe said. Meanwhile, the government aims to invite bids for the national lottery and a network of bridges and roads at the end of this month or early in June, revealed Metin Kilci, the head of the Privatization Administration (Ö?B). Parliament will probably debate and approve the legislation required for the sales in the next two weeks, Kilci said in Ankara Friday. ?We want to get the roads and lottery sales started by the start of June and to complete them by the end of the year,? Kilci said. Turkey is offering rights to operate a network of highways linking the two biggest cities, Ankara and Istanbul, and extending to the Greek border. Also included are the two suspension bridges over the Bosporus strait. 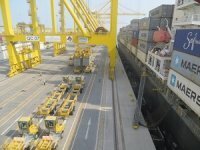 Kilci said the assets are likely to be auctioned as a single package. Tenders to sell four electricity distributors have been started and will be followed by the sale of a further 16 networks, which will also be sold in groups of four, Kilci said.